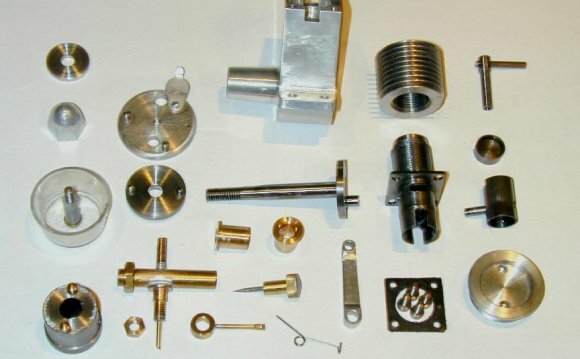 We’ve got a question for you: If you were stuck in a basement, with nothing too much more than some copper pipe, solder, JB-Weld, and a few hand tools, do you think you could make a working 2-stroke motor? Well, [Makerj101] did just that, and the results are fan-freaking-tastic. [Makerj101] began his journey like most of us do – with a full face-plant type failure. His first attempted at building an internal combustion engine wouldn’t run, due to a low compression ratio, and too small port sizes. So he did what most of us would do, and tore apart a small gas-power weed-whacker motor to see what he was doing wrong. The type of engine he’s making is a 2-stroke. That makes the design much simpler as there are no mechanically controlled valves a like 4-stroke motor. The piston (along with the cylinder wall) does double duty by also directing the intake and exhaust gasses – along with a simple flap-type check valve. For now, the ignition system is run off of mains power, but he has plans to change that – creating a self contained engine. We’re amazed that the entire build is made with such simple tools. Even the the piston is cast out of “JB Weld” epoxy putty. After seeing this, we think that the kid who took apart a clock is going to have to up his game a bit.